The ceremony is over and the winners of this year’s Cambridgeshire Digital Awards have been announced. Aston Shaw are extremely proud to announce that we were successful in three categories, bringing home 3 awards – 2 gold and 1 bronze. Recently, our website underwent a significant redesign, the success of this has been reflected in us taking home 2 gold awards in the categories of Responsive Website and Website: B2B. In addition to this, we won Bronze in the Blog: Business category – recognising the regular, engaging content we curate. 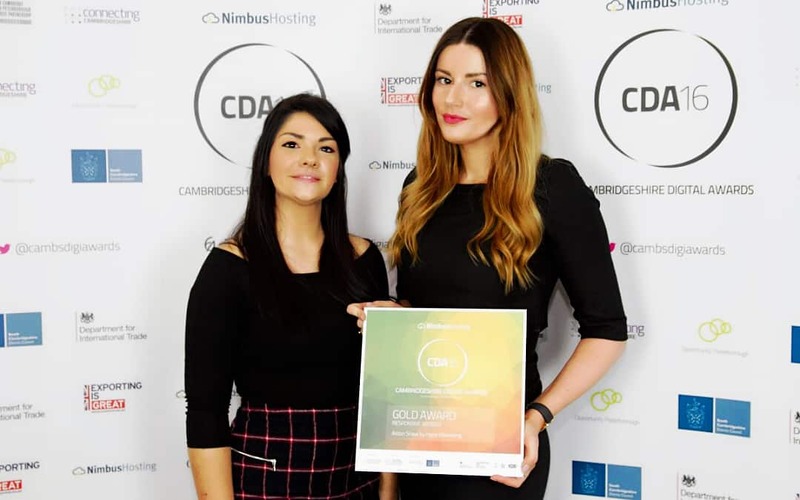 These awards have been won in conjunction with our marketing agency Hype Marketing, who have been instrumental in leading and implementing our marketing activity. Earlier this year we were delighted to receive the news that we had been shortlisted in four categories, including: Blog: Business, Mobile App, Responsive Website and Website: B2B (Link to previous post) – and even more thrilled to win 3 out of the 4 categories we were nominated for.